Man, I have a never-ending vat of this cleverness stuff if anyone wants some. Today we have a quick and dirty comparison of two brand new quiet HSF cooling solutions for your P4. A whispering copper giant from Zalman, and a hushed high tech aluminum challenger from Nexus. 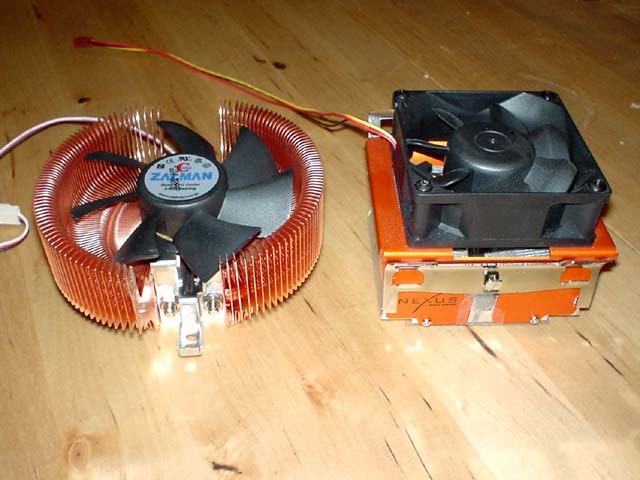 The first thing I should mention is the differences between these two heat sinks. The Zalman weighs in at a hefty 773 grams (far above the specified maximum weights of 450g and 300g for P4 and AMD cooling devices respectively), while the Nexus only weighs a paltry (in comparison) 385 grams. 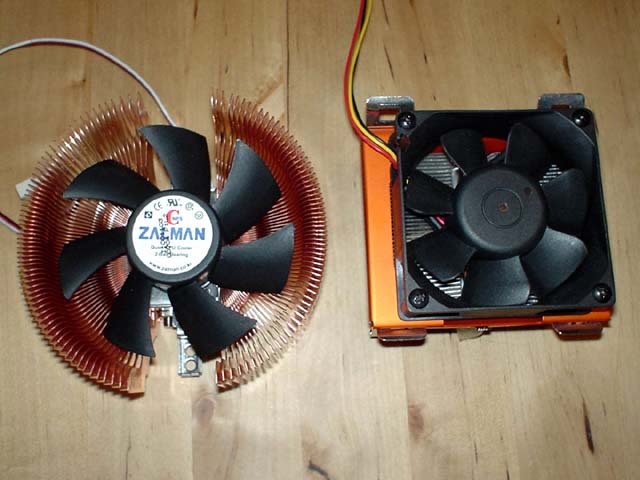 The Zalman is made of copper fins compressed into a single piece, the Nexus is made from a solid block of aluminum that is skived into a heat sink. The Zalman costs around $50, while the Nexus costs $30. This could be a tough (read: one sided) competition for the Nexus.